Come and Experience “Love of the Dance”. Welcome to the McElligott School of Irish Dance, where our motto is “Love of the Dance”. The families and students who make up our school really feel that love. They enjoy the camaraderie that develops amongst the students and parents. The students work together to make a solid, supportive, and competitive team of dancers from beginner levels through Championship levels. The McElligott School offers classes for everyone from recreational dance instruction to preparation for a Major Championships. The McElligott School studio is nestled in Stroudsburg, located in the lovely Pocono Mountains of Northeastern Pennsylvania. It is a fantastic facility over 4,200 sq. ft. It has 3 studio rooms, each fitted with “floating staging” to ensure the best flooring available for the dancers. There is a spacious waiting room for those waiting for the dancers. It becomes a home away from home for the dancers and their families. The McElligott School of Irish Dance is proud to be a registered school with the An Comisiun le Rinci Gaelacha. An Comisiun is the largest and most recognized Irish Dance Organization in the world. 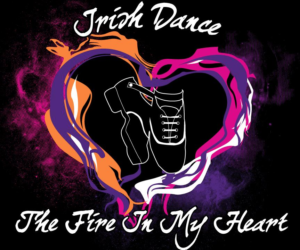 We are also registered with the Irish Dance Teacher Association of North America, Inc. and Irish Dance Teacher Association of North America – Mid- Atlantic Region. We keep the classes small and personal so that each and every dancer can reach their personal best. Hard work and dedication to precision while still enjoying what they do is our teachers’ aim for the students of the school. This teaching formula seems to be working as the school has enjoyed continuous competitive success. Dancers from the ages of 3 years through adult dance can dance for fun and exercise, competitively and/or for performances. Each dancer, whether Tiny Tots, Beginner, Champion, Recreational, or Competitive receives the same dedicated and energetic instruction. If you would like to know more about the fantastic dance program and want to become a part of the McElligott School of Dance family, contact us today! Over the years our McElligott School dancers have had the opportunity to perform on T.V. ; in front of various governmental dignitaries, both National and International; as well as in parades, fairs, weddings, festival and other exciting events. Our dancers also had the opportunity to dance with world renowned Irish group, The Chieftains and the amazing and talented Eileen Ivers. Our teachers are always creating new and innovative programs, and our dancers love the challenge and thrill that this creates. They love to perform and it shows! If you are looking for Irish Dancers for your next event, please contact us so we can plan a great show for you.